While every designer likes to think they are a unique and special snowflake who has their own ideas to bring to the world, no one exists isolated from Graphic Design in the world and we’re all influenced by it. Attempting to educate myself on recent trends I found the below video, which looks through a bunch of current design trends. While a some of them have been popular for a few years now (Flat Design for example must have been trendy for around 5 years by this point), it’s interesting to watch and see which ideas jump forwards and spark ideas. First time I watched this video, I saw the version where he forgot to do number 5, so had to go back and watch the fixed version (below). Enjoy what he’s got to say, and if you feel the desire to discuss anything mentioned in the video, or just want a chat, get in touch. 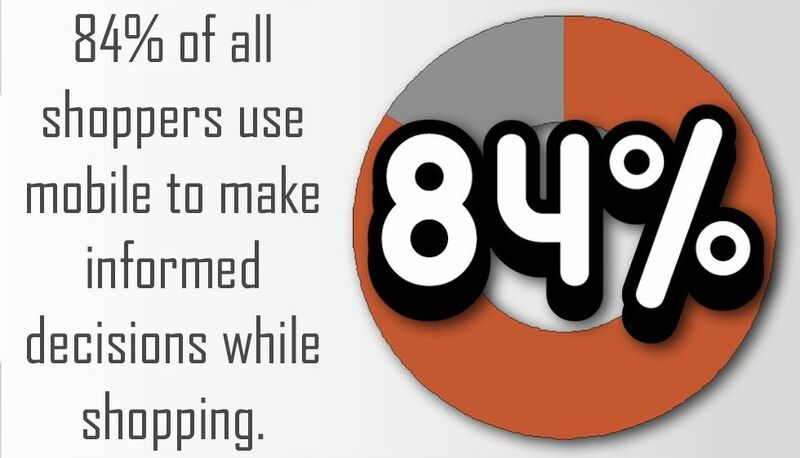 84% of shoppers user mobile to make informed decisions while shopping.